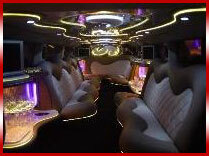 Are you looking for a limousine which is going to make heads turn and jaws drop? 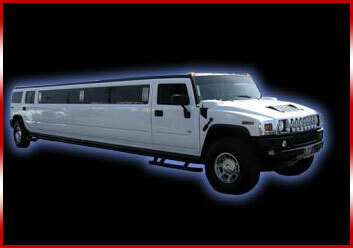 Then check out our Triple Axle, 8 wheeled, Hummer limousine. A Hummer limousine is an impressive looking vehicle, but an 8 wheeled Hummer is something else. The vehicle has been stretched beyond the standard 38 feet, to an amazing 42 feet in length and is so long that we have had to add an extra axle to compensate for the extra weight! Each of the wheels has chrome alloys to add a special finishing touch to an already awe inspiring vehicle. The Triple Axle Hummer can carry up to 16 passengers and still has enough room for everyone to stretch out and enjoy themselves. We have had every inch of this limo custom built in the United States and transported to the UK to offer you a journey that which you will never forget. 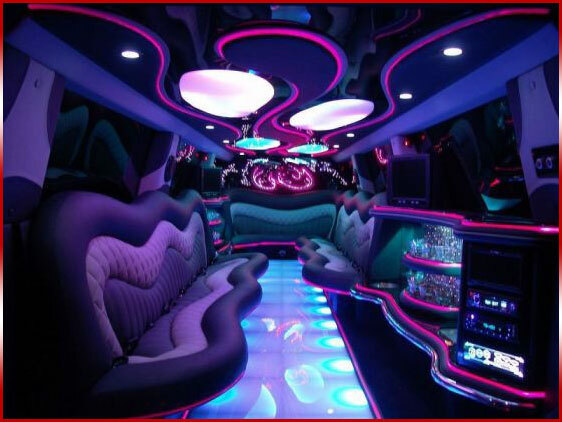 If you thought the exterior of this limousine was impressive, then just check out the interior. 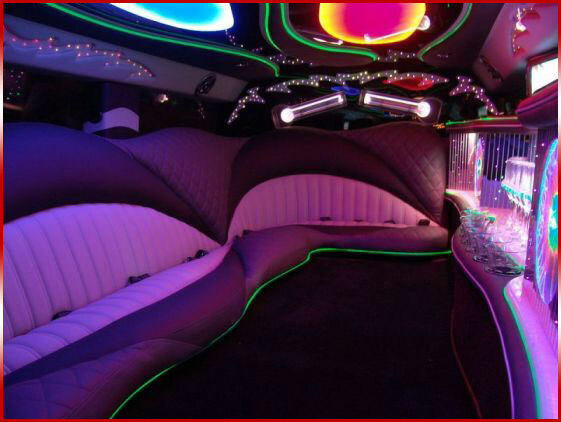 With neons, twinkle lights, star gazers and mirrored ceiling, the Triple Axle Hummer is a feast for the eyes. The stereo system is a ridiculous 1800 watts and when combined with the flat screen TVs and DVD player, this Hummer has enough audio and visual equipment to put your local cinema to shame. With the mini-bar stocked with complimentary bubbly or any alcoholic beverage of your choice, your are guaranteed to start and end your evening on a high. 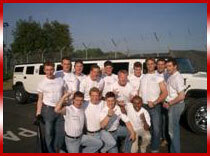 The Triple Axle Hummer is a popular limo for large groups going on their bachelor or stag parties. The extra bit of leg room really makes the difference allowing everyone to really enjoy themselves in the two VIP areas. Travelling in a Triple Axle Hummer is a limousine experience like no other. 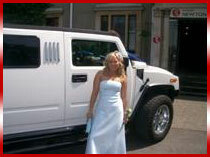 If you want to make a grand entrance on your stag, bachelor party or prom night, then why not choose to arrive in one of the only few Triple Axle Hummers within the UK. THIS IS PROBABLY THE WORLDS BIGGESTS AND BEST HUMMER. THIS MAKE ALL OTHER LIMOS LOOK LIKE DWARFS. VIP Area to the Rear of the Cabin Area! This H2 Hummer limo will make any event special, it has all you need why go to a night club when you can party all night long in the party machine. 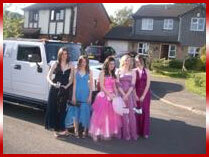 At Midlands Limos we only provide the best.